To diagnose a mental disorder or make a disability determination, clinicians must assess functional impairment—not just the presence of symptoms. 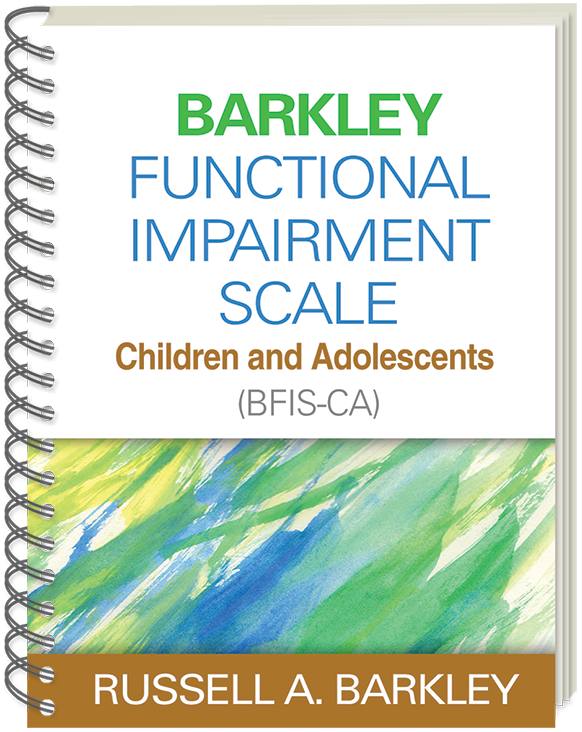 Meeting a key need, the Barkley Functional Impairment Scale—Children and Adolescents (BFIS-CA) is an empirically based, norm-referenced tool that exceeds other available scales in its comprehensive coverage of domains of psychosocial impairment. The BFIS-CA is designed to obtain parent reports on possible impairment in 15 different domains of everyday activities for children and teens. The scale typically takes a parent 5-7 minutes to complete. Also included is a follow-up parent interview form for obtaining more information about specific problem areas. Complete instructions for scoring and interpreting the scale are provided. 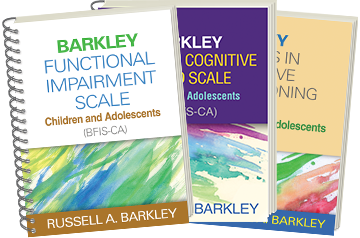 See also the Barkley Deficits in Executive Functioning Scale—Children and Adolescents (BDEFS-CA) and the Barkley Sluggish Cognitive Tempo Scale—Children and Adolescents (BSCTS-CA).? Enhancing the convenience and value of the BFIS-CA, the limited photocopy license allows purchasers to reproduce the forms and score sheets and yields considerable cost savings over other available scales. The large format and sturdy wire binding facilitate photocopying.